If you asked me to name a single style icon who's had the most influence on what I wear, I'd be hard-pressed to come up with just one name. 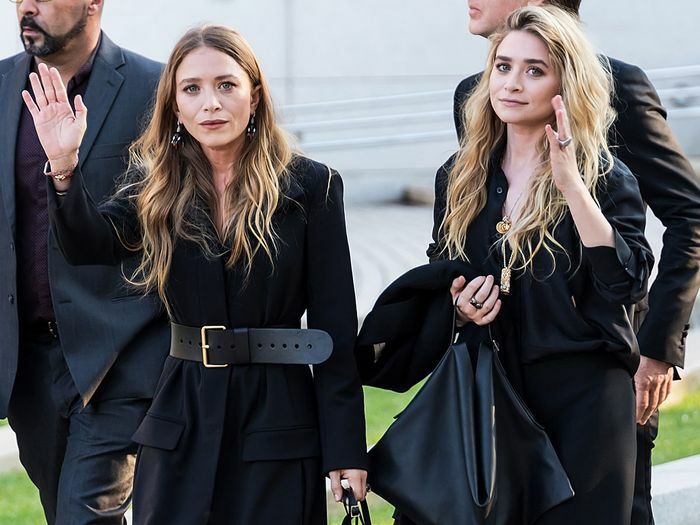 The fact is, I pull my style inspiration from many different people, places, and things, save for one exception (okay, two exceptions): Mary-Kate and Ashley Olsen. The sisters have set themselves apart from the rest of the celebrity crowd through their unwavering approach to clean, pared-back style that's redefined minimalism for so many. I'm certain I'm not the only one the Olsens have held a strong influence over, seeing as their successful brands The Row and Elizabeth and James have both earned cult followings. Since their style is talked about and analyzed to no end, I tried my hand at putting all that influence to the test. I decided to give myself a Mary-Kate and Ashley Olsen–inspired makeover, complete with clean lines, a monochrome color scheme, and classic wardrobe staples. Ahead, see the Olsen-inspired outfits I wore and then shop pieces to get the look, too. The sisters have honed in on their uniform of dramatic coats accented by sleek, structured accessories. I wanted my version of the look to have the same overall effect, but short of sourcing their actual pieces I instead put together the same key silhouettes. I was particularly inspired by the combination of a belted coat with heeled ankle boots and artful jewelry. While I admire Olsen's adherence to all-black ensembles, I mixed black accessories with dark green to make the look my own and because head-to-black tends to look too severe on me. I certainly felt much more polished and my look much more restrained than how I normally dress. But alas, I was inspired to give her skinny jeans styling idea a go and paired mine with ballet flats and an oversized men's button-down shirt. I took a cue from the above image where Ashley chose a croc-effect bag and finished off my outfit with a similar top-handle bag I own from Staud. It was much too warm in Los Angeles for a coat that day, but as soon as the weather permits, I'll be topping my look off with a long wool coat as she did here. Next, get inspired by 22 winter outfits with jeans, straight from our chic readers.